The 8700 comes with a Black shell and removable liners available in 5 colors. The colors show around the edges of the helmet and through the large vents. 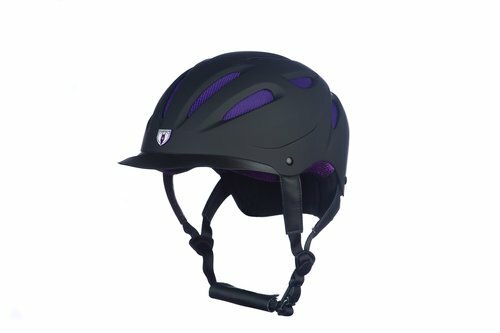 This Listing is for the Black Helmet with Purple Lining. Free USPS Priority mail within the continental US included in price. VENTILATION: Functioning top and rear vents for high temp relief. FEATURES: sleek larger brim, convenient magnetic hook clip and a removable liner for added comfort.